ibadan—THE Yoruba nation, yesterday, insisted on a return to the federal system established by the founding fathers of Nigeria in the 1950s, where each section of the country was able to develop at its own pace. This was the unanimous agreement reached at a gathering tagged: ‘Yoruba Summit’, held at the Lekan Salami Stadium, Adamasingba, Ibadan, Oyo State. This came as the Ooni of Ife, Oba Enitan Adeyeye Ogunwusi, Ojaja II and Governor Ayodele Fayose of Ekiti State called for unity among Yoruba speaking areas of Nigeria in the quest to get the country restructured. Also, leaders from the South-East and South South, in solidarity, backed the agitation for restructuring by the Yoruba. At another forum, the National Christian Elders Forum, NCEF, called for restructuring and a return to the democratic ethos of the past to put the nation back on the path of cohesion and unity. The summit attracted Yoruba leaders, governors, former governors, traditional rulers, parliamentarians, Yoruba socio-cultural groups, professional bodies, market leaders, youth groups and friends of the Yoruba nation. Those in attendance included the governor of Ekiti State, Mr Ayodele Fayose; Ooni of Ife, Oba Enitan Ogunwusi II; former governor of Ondo State, Dr Olusegun Mimiko; former governor of Ogun State, Otunba Gbenga Daniel; former Secretary to the Government of the Federation, Chief Olu Falae; Afenifere leader, Chief Reuben Fasoranti; Chief Ayo Adebanjo, President of Ohanaeze Ndigbo, Chief John Nwodo; former Director General of the Department of State Services, Chief Albert Horsfall; Special Adviser to the President on Political Matters, Sen Babafemi Ojudu; former Minister of Aviation, Chief Femi Fani-Kayode; former deputy governor of Lagos State, Sen. Kofoworola Bucknor-Akerele and former deputy governor of Ogun State, Senator Gbenga Kaka. Others were the founder of the Oodua Peoples Congress, OPC, Dr Frederick Fasehun; National Coordinator of OPC, Otunba Gani Adams; chairman of Yoruba Council of Elders, Chief Idowu Sofola; Sen Iyiola Omisore; Sen Mojisola Akinfenwa; Dr Doyin Okupe, Senior Special Assistant to former President Goodluck Jonathan; Col Tony Nyiam (retd); Chief Supo Shonibare; Mr Wale Oshun; Senator Ike Nwachukwu; Professor Tunde Adeniran; Orangun of Ila, Oba Wahab Oyedokun; Oba Lekan Balogun, Otun Olubadan of Ibadanland; Oba Latifu Adebimpe, Ashipa Balogun of Ibadanland; Archbishop Ayo Ladigbolu, retired archbishop of Methodist Church Nigeria; Alaafin of Oyo, Oba Lamidi Adeyemi who was represented by Bashorun of Oyo, high Chief Yusuf Ayoola; Mr Babatunde Oduyoye, AD chieftain and Dr Yemi Farunmbi. 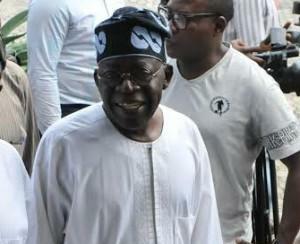 Former governor of Lagos State, Asiwaju Bola Tinubu and five of the six governors from the region were, however, absent. Also absent were members of the National Assembly from the zone. In his opening remarks, chairman of the summit, Chief Afe Babalola, SAN, said, restructuring would curb over concentration of power at the centre. Chief Niyi Akintola, SAN, moved the motion for the adoption of the communique, which was unanimously adopted by the gathering. In the communique, the Yoruba Summit noted that Nigeria was dangerously edging towards the precipice but must take urgent steps to restructure the nation from a unitary constitution to a federal constitution as negotiated by the nation’s founding fathers in 1960. In his remarks, the Ooni of Ife stressed the need for Yoruba leaders and elders to be united, which he said would be beneficial to the younger generation. Governor Fayose in his characteristic manner did not mince words as he told the gathering that the architects of Yoruba problems are its leaders. He also warned that failure to adhere to agitation on restructuring may lead to the Yoruba calling for Oduduwa Republic. The President-General of Ohanaeze Ndigbo, Chief John Nwodo, who led a high powered delegation from the South-East, that included former Minister of Foreign Affairs, Senator Ike Nwachukwu, and former Minister of Information, Dr. Walter Ofonagoro, to the summit, said: “With all humility, I extend the greetings of Ndigbo to Yoruba people. I have come with a very large delegation to emphasise our solidarity with you on this occasion. What is happening today (yesterday) shows that democracy has begun to grow in Nigeria. Meanwhile, factions of the OPC where engaged in a bloody clash after the summit. Trouble started brewing following the organizers’ initial failure to recognize the other faction after Gani Adams had spoken. There was a slight disruption of the summit. This forced the organizers to call the leader of the second faction identified as Dare Adesope, who spoke for some minutes. But after the programme, as Adams who came with scores of aides was leaving the stadium, he found the gate locked delaying dignitaries including the Ooni of Ife and his convoy from moving out. Also, the arrowhead of the factional group known as Sina Akinpelu’s car was reportedly vandalized. Gun shots were heard from Dugbe end of the stadium. The NCEF, yesterday, also called for restructuring and a return to democratic ethos of the past to put the nation back on the path of cohesion and unity. The group stated this while on a courtesy visit to the Peoples Democratic Party, PDP, national headquarters, Abuja. In an address titled: “Need for Politics of Nationalism,” NCEF said time has come for Nigerians to live in peace with one another, noting that several decades after the attainment of political independence from colonial imperialists; the country is drifting away towards intolerance, ill-will and hatred. The post Yoruba demands return to regionalism, restructuring appeared first on Vanguard News.